I never aspired to be a Muslim. I didn’t even want to be a Christian. The whole concept of ‘organized religion’ was distasteful. I sought to use my mind, not resort to some ancient book for assistance in living my life. If you had offered me millions of dollars to join one faith or another, I would have declined. One of my preferred authors was Bertrand Russell, who maintained that religion is little more than superstition and generally harmful to people, despite any positive effects that it might have. He believed that religion and the religious outlook serve to inhibit knowledge and promote fear and dependency, in addition to being accountable for much of our world’s wars, persecution, and misery. I remember laughing out loud while reading “Hey, Is That You God?” By Dr. Pasqual Schievella, in which he derided the concept of God through satirical dialogue. It all seemed so logical. Thinkers like us were surely above religious devotees, I thought smugly. But, for me, it wasn’t enough to just think I was better off without religion. I wanted to systematically prove religions were no more than a hoax. I purposefully set out to do just that. Yet, here I am. Muslim. Sure, I made the declaration of faith, but the choice I had was really no choice at all. 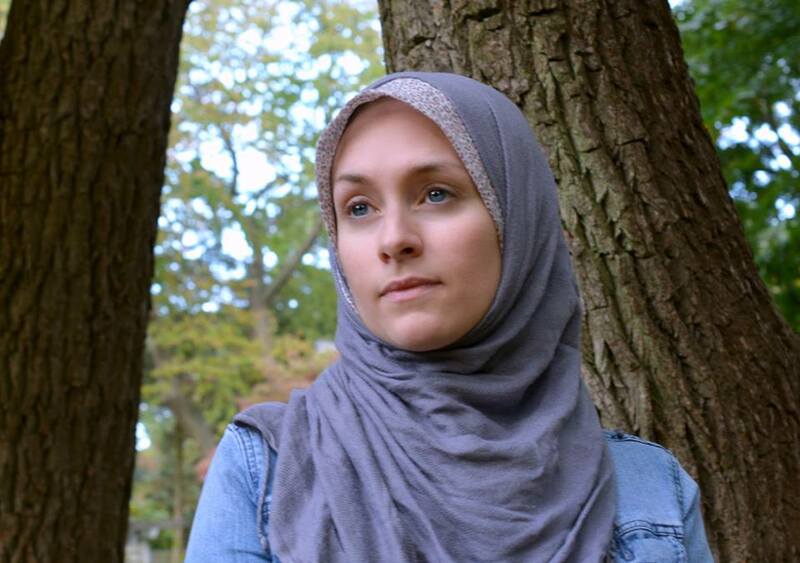 Essentially, I was compelled – forced to accept Islam. Interestingly, in my talks with followers of religions, especially those other than Islam, I have often noticed that they clearly desire to believe. As if, no matter how many contradictions or errors are pointed out in their scriptures, they brush them aside and maintain their unquestioning faith. Personally, I never considered myself to be seeking God, but if I had, the last place I think I would have looked would have been in an old book, or a building, or a person. Some people, who decide to believe in something at the outset, may then develop selective vision when it comes to learning the faith they’ve chosen. I had also decided to believe something; I chose to believe that religions were simply fabricated delusions of grandeur. In actuality this notion was not built on hard facts, it was an assumption. I had no evidence. 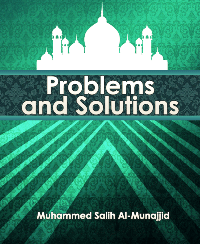 When I undertook reading the religious books, I was not biased towards them, but my intentions were to look for flaws. This approach helped me manage to maintain a fair amount of objectivity. My paperback translation of the Qur’an had been acquired for free. I didn’t even stop to chat with the MSA students standing at the table stacked with books. I curtly asked, “Is it free?” When they replied in the affirmative, I grabbed one and continued on my way. I had no interest in them, only the free book to assist me in accomplishing my goal of debasing religions once and for all. But, as I read that Qur’an; as its cover became worn and its pages tattered, I became more and more subdued. It was distinct from the other religious books I had also collected. I could understand it easily. It was clear. 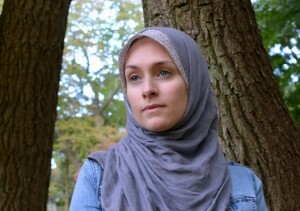 It was if the Qur’an was speaking to me directly – responding to my life. It was an “old book” but somehow, it was entirely relevant. Something about its cadence and imagery and the way it communicated to me intimately; It was an exquisite beauty I hadn’t really felt before, reminiscent only of the moments I had spent out west, staring out over a seemingly endless desert landscape. I found it exhilarating; comparable to the way it felt running barefoot in the sand under the stars with powerful waves crashing at my side. The Qur’an was appealing to my intellect. Offering me signs and then telling me to think, to ponder and consider. It rejected the notion of blind faith but encouraged reason and intelligence. It directed humanity towards goodness, recognition of the Creator, plus moderation, kindness, and humility. After some time, and life-changing experiences my interest intensified. 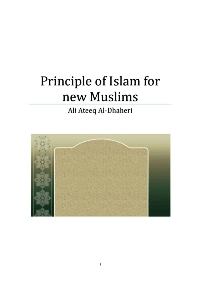 I began reading other books about Islam. 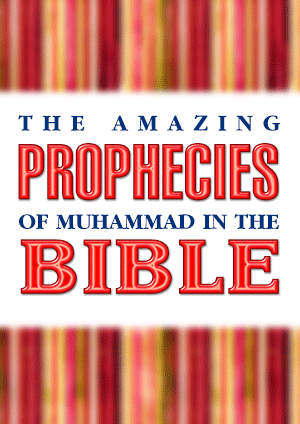 I found that the Qur’an contained prophecies, as did many of the hadiths. I found that the prophet Muhammad was corrected several times in the Qur’an. This seemed strange if he had in fact, been its author. I had begun walking down a new path. Led by the amazing Qur’an, paired with the beautiful paradigm of devotion; the Prophet Muhammad. This man showed no signs of being a liar. Praying through the nights, asking forgiveness of his oppressors, encouraging kindness. Refusing wealth and power and persevering with the pure message of devotion to God alone, he endured unfathomable hardship. It was all so uncomplicated, easy to understand. We’ve been created; all this intricacy and diversity could not pop out of nothing. So follow the One who created us – Simple. My mind was split asunder when I read this. It was the Big Bang – suddenly not just a theory… And every living thing from water… wasn’t that what scientists had just discovered? I was astonished. It was the most exciting and yet frightening time of my life. I read and studied and double-checked book after book until one night I sat in my library at Pratt Institute, staring wide-eyed at the piles of open books. My mouth must have been dropped open slightly. I couldn’t believe what was happening. I realized I had in front of me, the truth. The truth I had been so sure did not exist. There were only two choices and one was no choice at all. I could not deny what I had discovered, ignoring it and going on with my life as before, though I did consider it briefly. That left only one option. I knew I had to accept it because the only alternative was denying the truth. Danielle LoDuca is a third generation American, raised in a homogeneous, white, suburban community. Although raised as a Catholic, she considered herself agnostic and was disdainful of religion in general until she chose Islam in 2002.